True Wireless FreedomExperience total wireless freedom with the Razer Mamba HyperFlux. Backed by the new Razer HyperFlux Wireless Power Technology, you get an ultra-lightweight, wireless gaming mouse that runs indefinitely* with wireless power from the included Razer Firefly HyperFlux mouse mat. Wireless PowerThe next generation of wireless gaming is here. 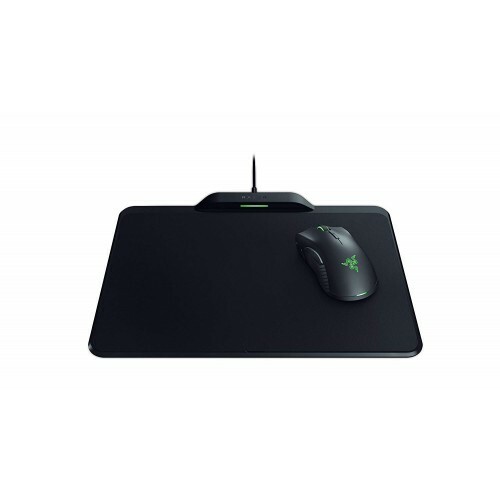 Razer HyperFlux Wireless Power Technology enabled mouse mats create a magnetic field that efficiently transfers power directly to their companion mouse. 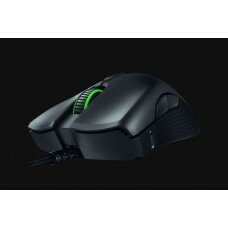 This technology creates indefinite power for the mouse and eliminates the need for a battery. The result is an ultra-lightweight wireless mouse that keeps on going, so there's never a need to stop and recharge. ULTRA-LIGHT. ULTRA-FAST.With no battery to weigh it down, the Razer Mamba HyperFlux weighs in at just 96 g, a weight traditionally only achieved by wired gaming mice. 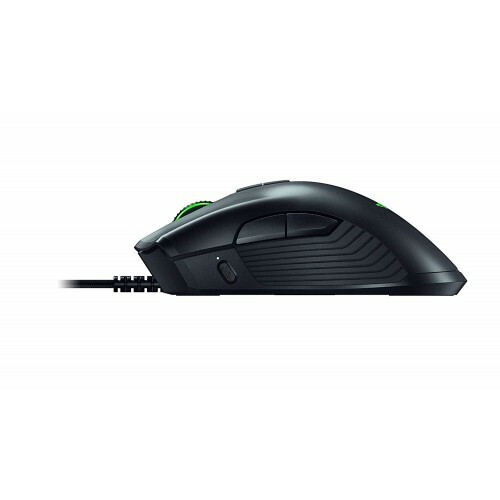 Easily lift and reposition this ultra-lightweight wireless gaming mouse during intense fast-paced games and over extended periods of time. 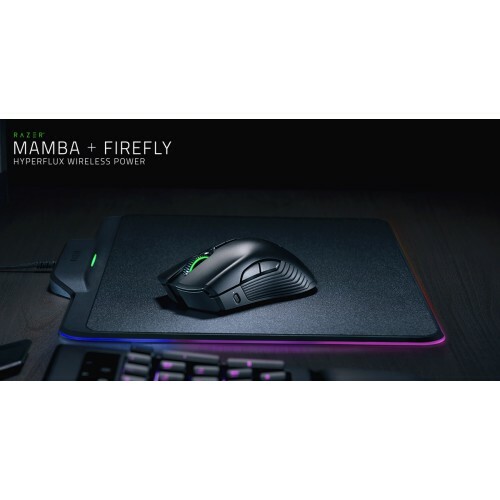 MOVE SWIFTLY AND PRECISELYEquipped with a true 16,000 DPI 5G optical sensor and Razer’s proprietary Adaptive Frequency Technology* for unparalleled wireless signal stability, the Razer Mamba HyperFlux allows for swift and exact mouse movements.